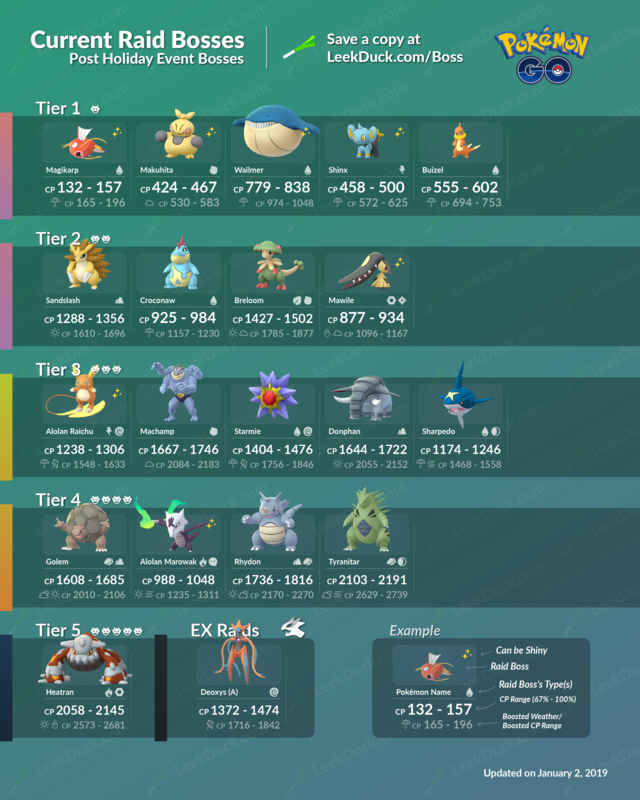 These are the Current Raid Bosses with the end of the Holiday Event. They are themed towards Water- and Ground-type counters for Heatran, the current Tier 5 Raid Boss. They are expected to change when Heatran leaves Raid Battles on January 15.